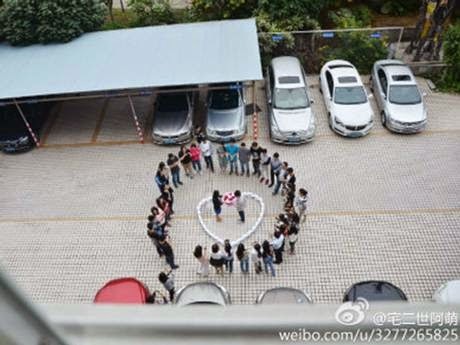 Dailybuzz.ch: Chinese Man Buys 99 iPhone 6s To Propose To Girlfriend On Single's Day And She Said NO! 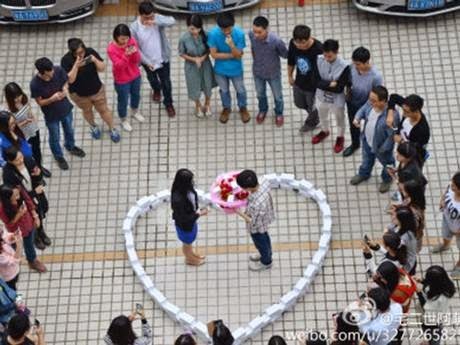 Chinese Man Buys 99 iPhone 6s To Propose To Girlfriend On Single's Day And She Said NO! 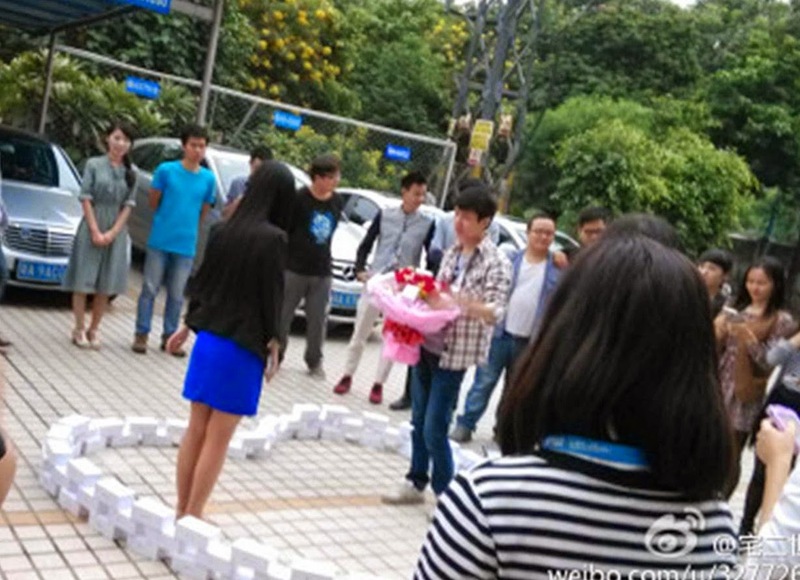 Arranging roughly £50,000 worth of Apple technology in a heart shape outside their workplace, the tech worker clutched a bouquet of flowers as a small crowd gathered to watch the young man’s heartfelt proposal – and to capture the moment on their smart phones. Unfortunately, the man’s girlfriend was less than impressed and turned him down in front of friends and colleagues, who then immediately shared the exchange on China’s social media network Weibo. Weibo users were singularly unimpressed with local media reporting most simply dismissed the man’s gesture as “stupid”. China’s “Single’s Day” was created several years ago and has grown into a worldwide phenomenon, frequently touted as the ‘biggest online shopping day in the world’ as millions of Chinese singles take to the web to buy themselves presents. This young man may be among them as he tries to buy a present to cheer himself up. Either that, or he’s got 99 iPhones he can flog.